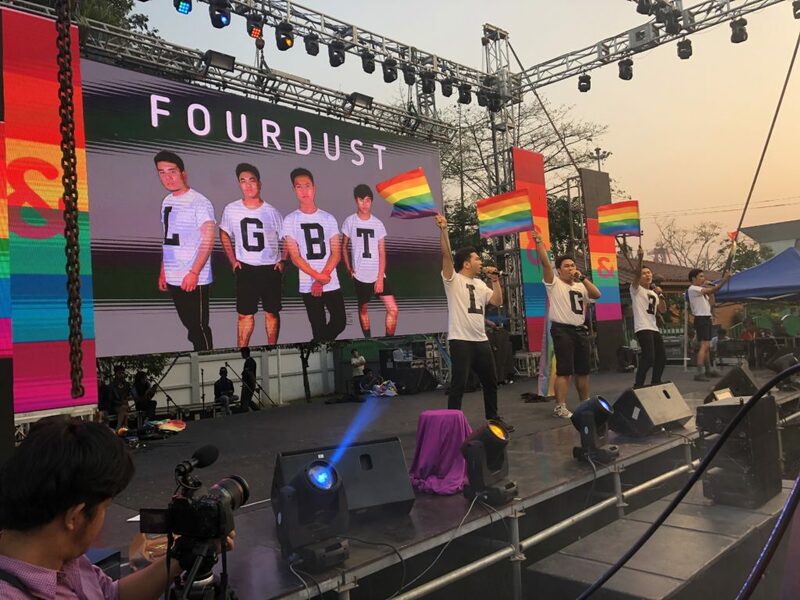 In Myanmar, the “&PROUD LGBT festival” took it to new heights for its 5th edition in January 2019. Taking Pride “floats” literally, the Parade happened on ..the river. 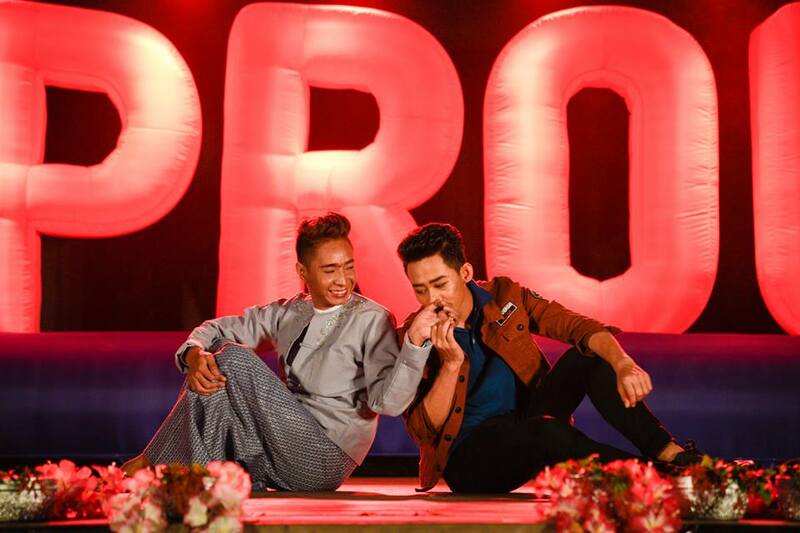 And from handbag tossing competition to more serious arts, a rainbow shone bright over Myanmar. Organisers answered our questions on what the story was like backstage. Q: What activities did you organise this year and how/why did it evolve over previous years? 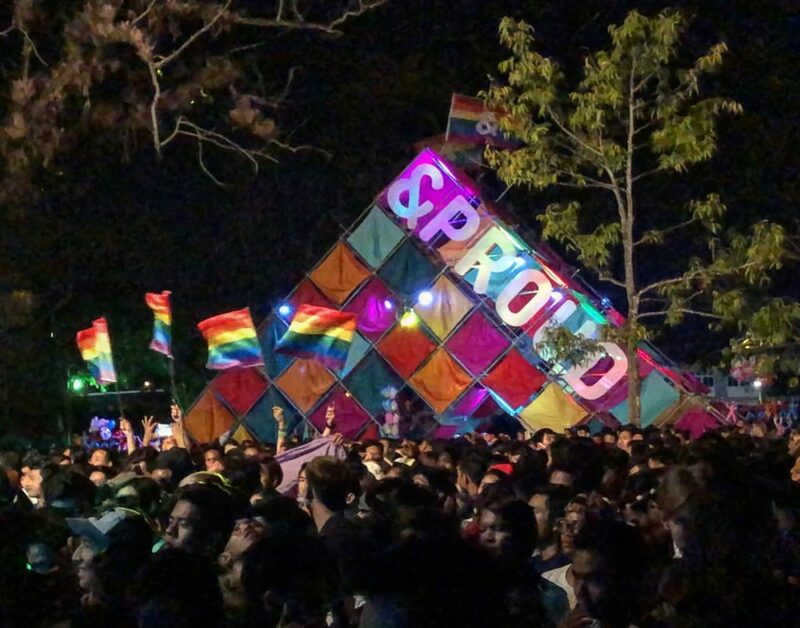 This year, for the 5th edition of &PROUD LGBT festival, we organized the first ever Yangon Pride in the form of a Boat Parade. 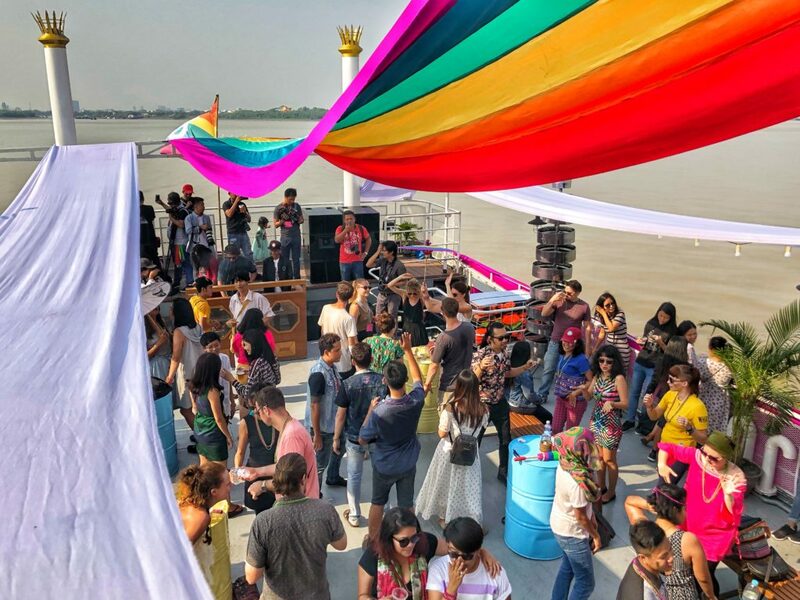 Three big decorated boats, which hosted more than 500 LGBT persons, activists, allies, partners, supporters, donors and &PROUD friends, cruised on the Yangon river with music and rainbow flags. Since it is very difficult to get permission from the different city councils authorities to organize a parade in the streets, we took inspiration from Vietnam’s first parade on bicycles, labeled as a “sport event”. Our Boat Parade allowed us to bypass city laws! For the second year, we also organized three days of celebrations in a public park downtown. 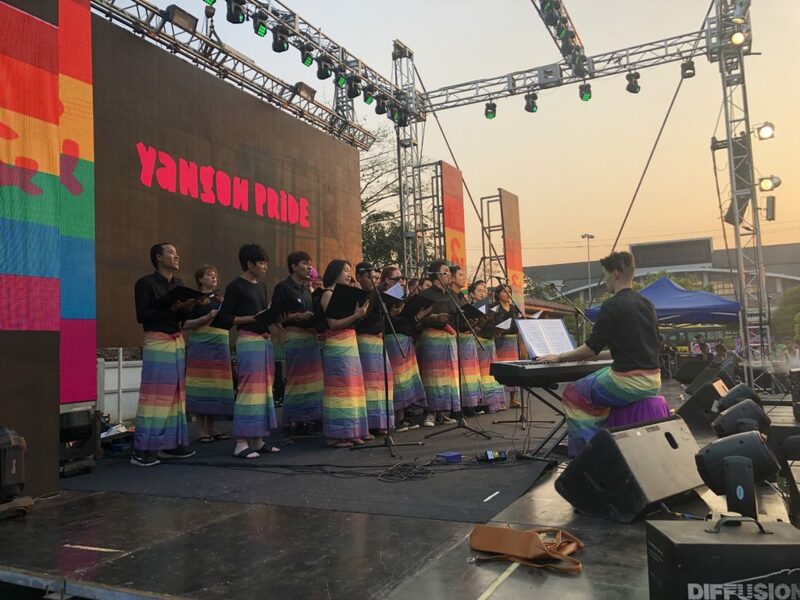 We held concerts, performances by talented members of LGBT community, DJ music; We also screened sensitization clips to show the struggle and resilience of LGBT persons in Myanmar and call for support and acceptance. We held a Hero Awards celebration for the first time, during which we gave the LGBT Hero Award to Okkar Min Maung, a famous Burmese gay actor who committed to become an LGBT champion and advocate; The Media Award went to a journalist who has been portraying accurately the LGBT community over the years, and we rewarded with the Parent Award, Okkar Min Maung’s mother to emphasize how important parents’ support is for their LGBT children. 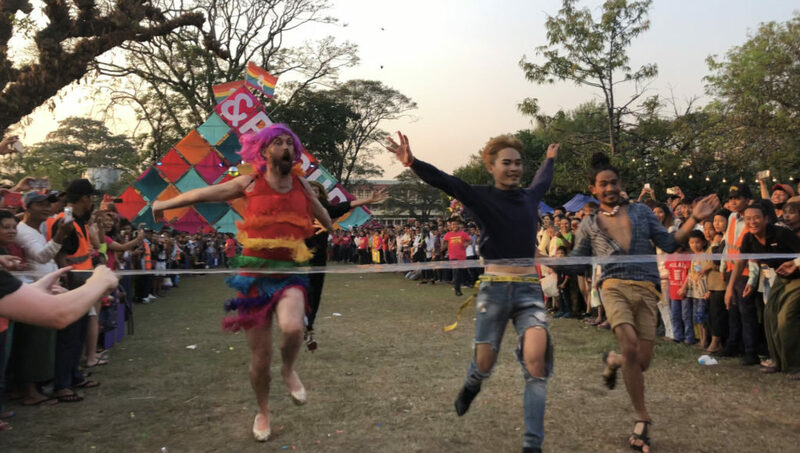 Finally, we organized the “Drag Olympics”, with a Drag Race and a Handbag Tossing competition, and we hosted photo exhibitions about the LGBT community. All this with the official approval of the local government! 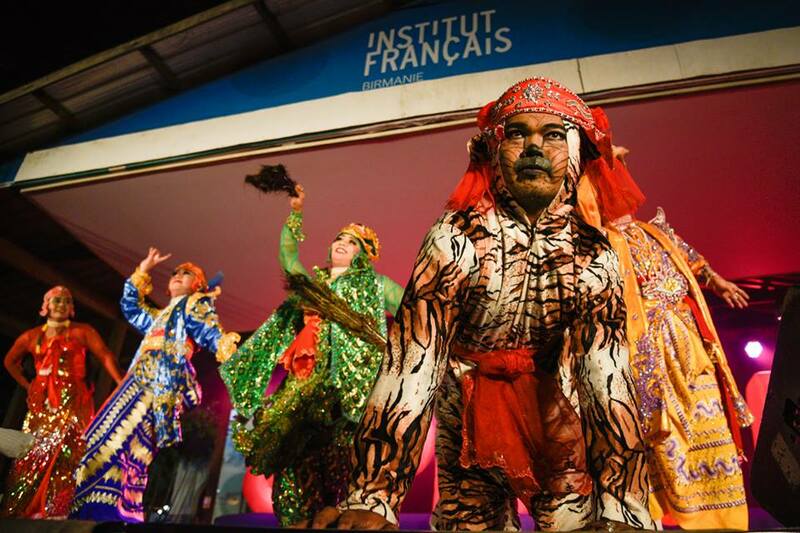 The second part of the festival was a three-day LGBT Film Festival and photo exhibitions at the French Institute of Myanmar, where LGBT movies can be screened without being censored. In total, we reached out to over 12,000 people with these events! Q: What are the main reasons for the success? The organizing committee, composed of talented people from different nationalities and backgrounds, developed the original concept of the festival and recruited a team of volunteers to implement the creative ideas the Committee came up with. In addition, an effective and edgy communication campaign was launched to inform the LGBT community and the larger public about the event. Different communication channels were used to spread the festival information such as Facebook campaigns, billboards across the city, radio spots, distribution of flyers, etc. We tried to mobilize the LGBT community from an “arts and culture” perspective and sensitize famous singers and performers to the cause. Then, we asked everybody to spread the news with their community. More importantly, we now feel that the LGBT community is more ready than ever to raise awareness on its existence. Times are ripe for more visibility, recognition and acceptance of LGBT persons. 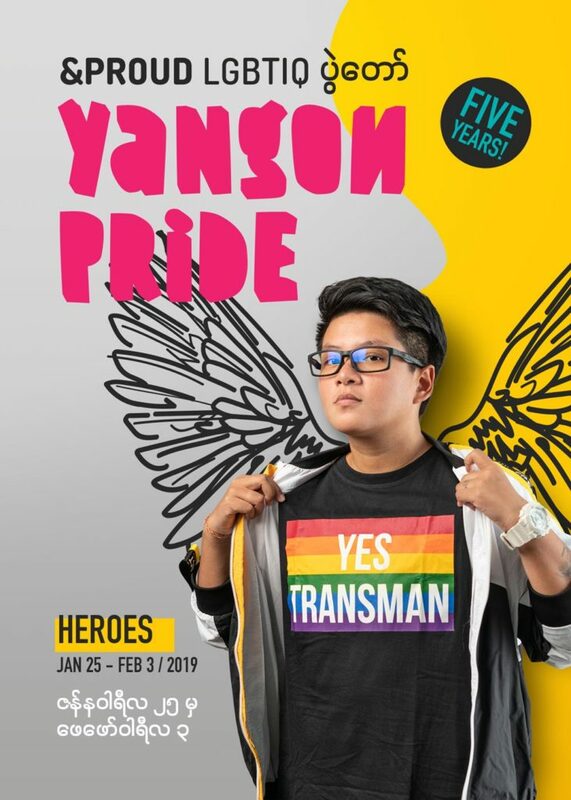 Since the festival’s inception five years ago, success has grown exponentially, giving a strong signal that the young Burmese society is ready to accept, recognize and give space to their LGBT peers and that the LGBT people is ready to occupy this space with pride. Q: What were the challenges and how did you face them? Homosexuality is still illegal in Myanmar, making this kind of events difficult to organize. Getting permissions from local governments at all levels is very challenging. In particular, convincing the censorship board to let us screen LGBT films was the main challenge we faced and we had to spend a lot of time sensitizing the authorities to our cause by having a series of formal and informal talks and meetings. The concerted actions of LGBT activists, LGBT groups and NGOs and champions supporting the cause have the positive consequence of raising the visibility of the movement and opening the door to serious political debates. As a result, we are slowly gaining interest from the government and law makers. We are very hopeful that this will ultimately lead to legal reform. Q: What advice would you give to activists who want to organize something similar? Please communicate with local authorities as much as possible to have their support (this may vary depending on the countries). You have to be creative, and at the same time, diplomatic to form and nurture good working relationships with local authorities and the government. And finally, don’t underestimate the power of art to change mindsets!